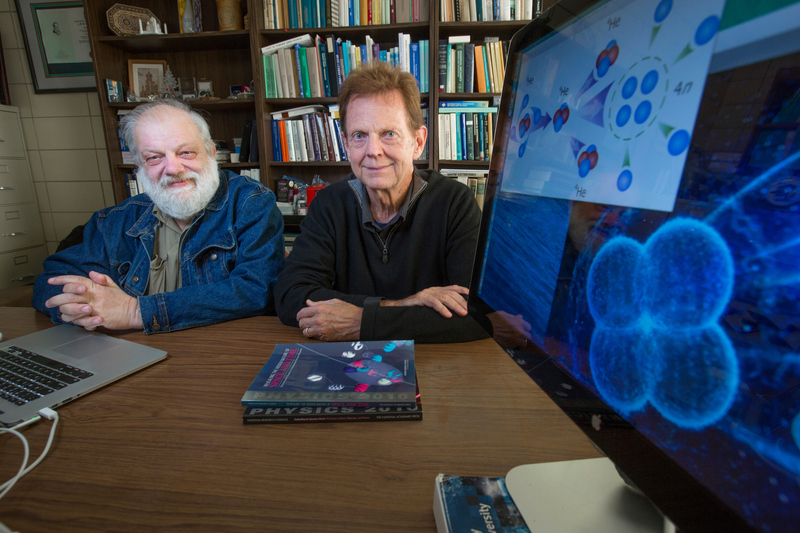 Iowa State University researchers have helped demonstrate the existence of a subatomic structure once thought unlikely to exist. James Vary, professor of physics and astronomy, and Andrey Shirokov, visiting scientist at Iowa State, together with an international team, used sophisticated supercomputer simulations to show the quasi-stable existence of a tetraneutron, a structure comprised of four neutrons (subatomic particles with no charge). On their own, neutrons are very unstable and will convert into protons — positively charged subatomic particles — after ten minutes. Groups of two or three neutrons do not form a stable structure, but the new simulations in this research demonstrate that four neutrons together can form a resonance, a structure stable for a period of time before decaying. For the tetraneutron, this lifetime is only 5x10^(-22) seconds (a tiny fraction of a billionth of a nanosecond). Though this time seems very short, it is long enough to study, and provides a new avenue for exploring the strong forces between neutrons. Other researchers involved in this project included George Papadimitriou, postdoc at Lawrence Livermore National Laboratory and a former postdoc at Iowa State University, Alexander Mazur, professor and Igor Mazur, senior lecturer, both at Pacific National University in Khabarovsk, Russia, and Robert Roth, professor at Technische Universitaet Darmstadt in Darmstadt, Germany.